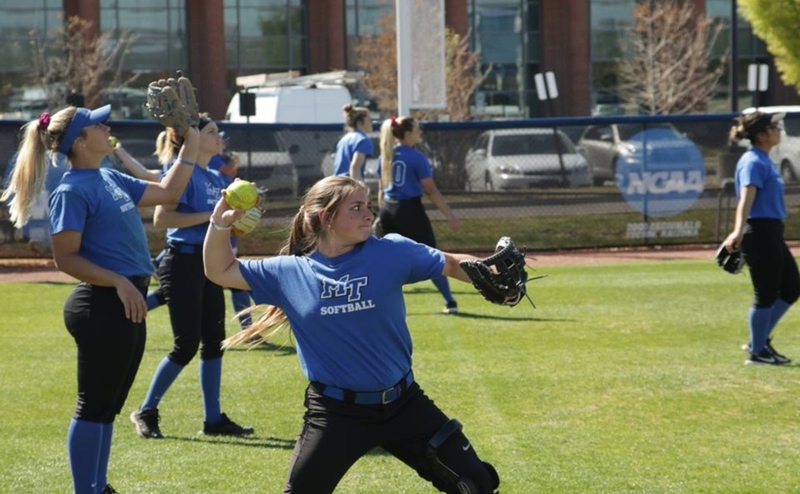 MTSU softball took the loss three times this weekend against Florida International. While the pitching was there, the bats were not. The lack of offense and leaving runners on base hurt them greatly as they lost both of their contests on Saturday, the first by a score of 2-1 and the second 3-0. 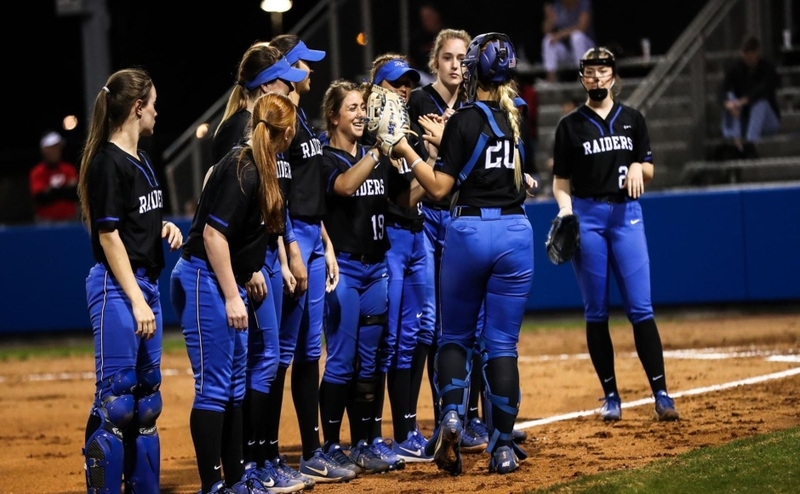 After failing to record a hit in the first inning, the Blue Raiders came out in inning number two with a little spark. Following a Keely McGee walk, Munoz laid down a sacrifice bunt to move her teammate over into scoring position. Moments later, Kristin Uselton connected with the ball and sent it into deep center field. The hit not only gave her her fourth double of the season, but it also gave MT the early 1-0 lead. Florida International came out swinging and never let up. The trio of Brianna Bahadue, Julia Gilbert and Araceli Peralta combined for six of the team’s 12 total hits on the day. Their bats gave starter Megan Chacollo fits, as she gave up at least one hit in every inning except the seventh. Chacollo is still seeking her first win of the season as her ERA stands at 1.46. On the other end of things, MTSU couldn’t string together any more runs. The team was able to create some madness in the fifth, getting the bases loaded with McGee at the plate. Unfortunately for the freshman, she wasn’t able to get on base this time around as she grounded out to the short stop. MTSU would leave a total of seven runners on base in game one. 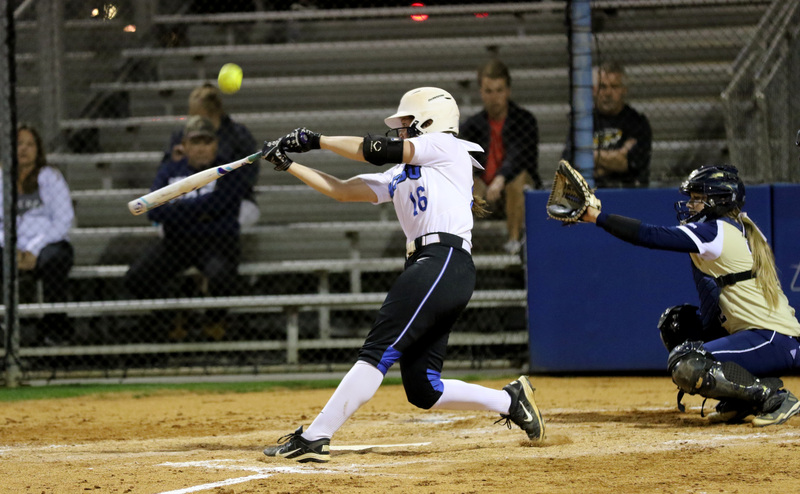 @MT_Softball falls 2-1 in the first game of their double-header with Florida International. After a Uselton pop up to second and a Munoz fly out to third, it looked as though it would be a three-up, three-down inning for FIU pitcher Shannon Saile. However, it was only the start of what could have been a monster inning. Lauren Payne broke the cycle by drawing a 3-2 walk and sending Murfreesboro native Kirstyn Cuccia to the plate where she would be hit by a pitch. With a man on first and second, FIU’s Saile walked yet another batter in Samantha Vacko to make the bases loaded. After a meeting at the mound, Sailes settled down and eventually struck out MTSU’s Summer Burgess to avoid the scare. Two innings later in fifth, the same sequence of events played out once more. Following a pop up and a ground out, All-C-USA preseason selection Precious Birdsong drew a walk. This was preceded by a Morgan Harris single just out of reach of the second baseman. Moments later, Harris would steal second and put McGee in position to make the play of the day. The Portland, TN native was victim to another Saile flyout as MTSU lost a costly opportunity to put runs on the board. 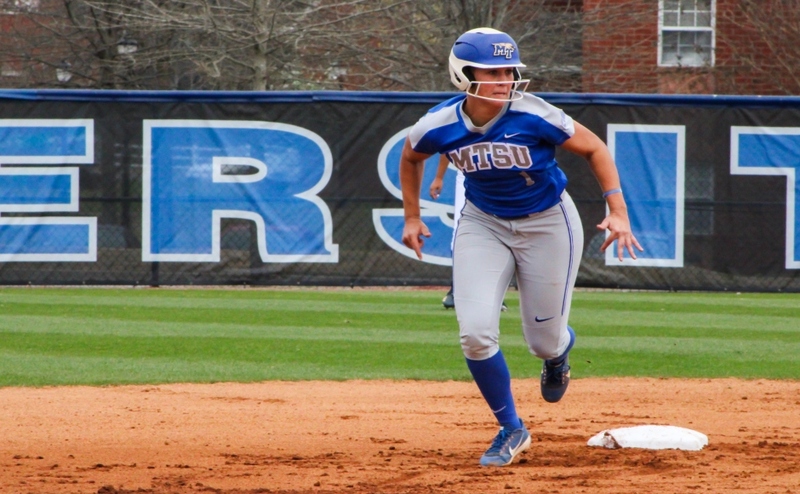 In game two, MTSU left eight runners on base for a total of 15 stranded Blue Raiders in Saturday’s matchups. Almost in the exact opposite manner of the Blue Raiders, FIU was to string together hits, put runners on base and most importantly, finish when it mattered the most. 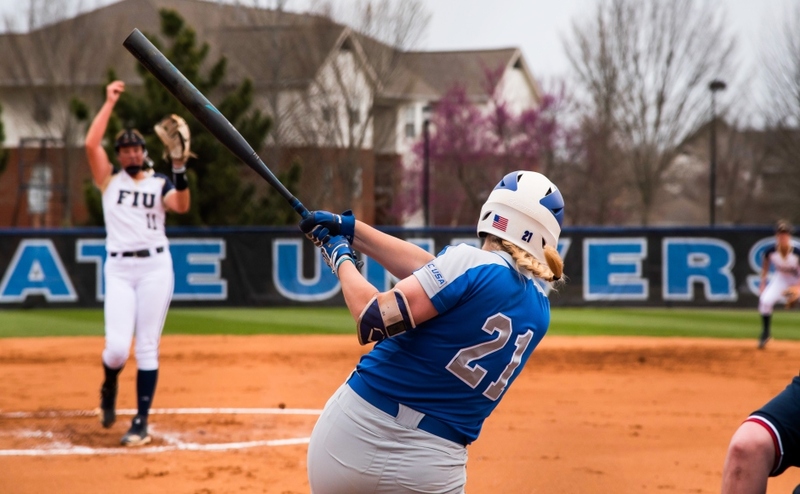 The Panthers saw their first three batters of the sixth innings reach base, putting MTSU starter Cori Jennings in a bind she couldn’t get out of. FIU would go on to score one more run on a wild pitch as infielder Dani Mowry would steal home. After the game, coach Breeden was blunt when he spoke to his team about their weekend play. Blue Raider softball drops second game of the day 3-0. MTSU is now 10-17 overall and 1-8 in C-USA on the season. The Blue Raiders will play UT-Martin on March 29 at 4 p.m.